As January days go in our corner of Wisconsin, today was a pretty nice day. The sun was out, and it felt warm as I walked around Lambeau Field, shooting pictures on the Sunday before the Packers play in Super Bowl XLV. But before I was done, the clouds started to roll in. Cold again. So tonight on The Midnight Tracker, something to get us heated up. 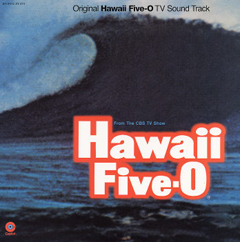 When I got back into crate digging four or five years ago, Morton Stevens’ original TV soundtrack for “Hawaii Five-O” was one of the first records I bought. I dug it out a while back, gave it a spin and immediately realized I’d been sleeping on something great. You know the “Hawaii Five-O” theme, of course. It’s more than 40 years old but has not lost one bit of its cool. What follows it on this record is a gorgeously funky blend of cool jazz and noirish rock, anything but TV soundtrack filler. It’s quite a revelation to find out what was swimming around just outside the mainstream in 1969, when this was released. “Hawaii Five-O,” “Call To Danger,” “McGarrett’s Theme,” “Front Street,” “The Long Wait” and “Blues Trip,” Morton Stevens, from “Hawaii Five-O” original TV soundtrack, 1969. This is Side 1. It runs 14:01. The third cut, “McGarrett’s Theme,” is reminiscent of “Red Roses For A Blue Lady.” McGarrett must have been hanging around one of those bars where you go when you don’t want to be seen. The fifth cut, “The Long Wait,” is just that, fraught with anticipation. As for the final cut, “Blues Trip,” when did Five-O go to Memphis? Ponder that as you enjoy The Midnight Tracker, which resurfaces at the end of every month. It emerges from the haze of time, reviving an old late-night FM radio show on which one side of a new or classic album was played. 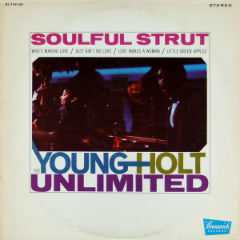 For more on this great record, including how the Ventures were involved in making it, please check out Doug Payne’s fine post on his Sound Insights blog.